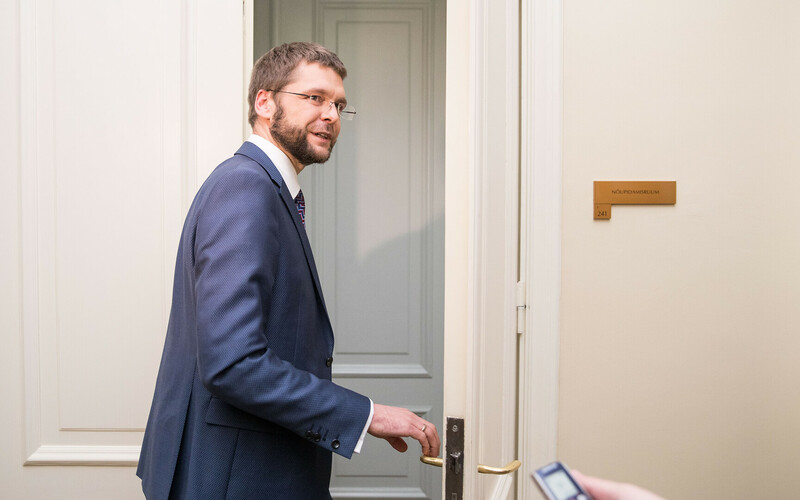 Social Democratic Party (SDE) leader Jevgeni Ossinovski has said that Estonia 200 is not going to make it to parliament in the March elections. Mr Ossinovski said that whilst Estonia 200's support may have risen since its formation, this will not be sufficient for it to meet the electoral threshold needed for Riigikogu seats. 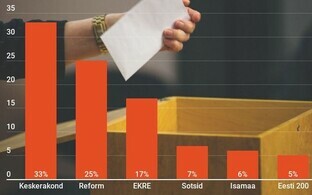 Recent party ratings had indeed seen Estonia 200's support fall to around the 5% threshold, according to the most recent research. This would mean that if the figure translated to actual votes, the party would only just scrape home with seats. Under Estonia's proportional representation system of voting, parties which get below 5% of the vote in an electoral district do not get any seats from that district. There are 12 electoral districts across the country. SDE's support has also been on the slide, and is only a couple of points ahead of Estonia 200 in the latest research, at 7%. 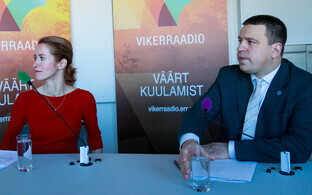 Mr Ossinovski conceded that his party may have lost some support to Estonia 200, but that on election day, voters tend to go for larger and more established parties. He added that SDE's lower spend on electoral campaigning than the two largest parties, Centre and Reform, also explains some of his party's recent support decline. 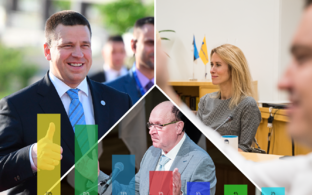 ''Over the past few months, Estonia 200 has shown that it has nothing new to to offer the Estonian political system, and its ratings are predicted to fall further. Their candidate list is also to weak for them to go through,'' said Mr Ossinovski. ''Undoubtedly, the most salient point here is that Reform and Centre have, as usual, invested two or three times as much in their election campaigns than we have in ours. They have of course been exceptionally visible during the month of January,'' he continued. ''We have allowed for a more limited election campaign, focussed primarily on February. It's also worth looking at previous elections, where there has been around a 5% swing in support from Reform to us. With a month and a bit to go until the elections, we are definitely playing to our strengths in having very strong electoral lists," Mr Ossinovski said. 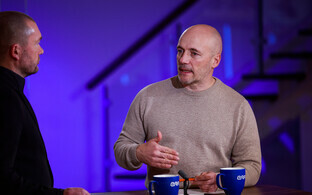 Mr Ossinovski also rejected the likelihood of a Centre-Reform coalition emerging (Reform is currently in opposition), since he says Reform has effectively dusted off Centre as a partner in office, with the latter now having to look at courting smaller coalition partners. Centre is currently the major coalition party, with SDE and Isamaa/Pro Patria the junior partners. The SDE leader went on to note that these elections look set to be a lot more open than usual, with no one, single theme dominating discourse. This makes predicting how things will go virtually impossible, he said. 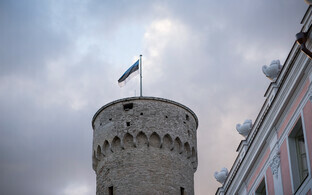 Estonia 200 had enjoyed higher ratings in previous batches of market research. Many commentators are blaming the back-firing of a poster ad campaign which stated ''Estonians here'' and ''Russians here'', placed at a prominent tram stop in Tallinn, for the slide. 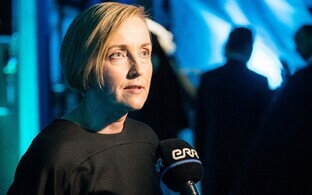 Party leader Kristina Kallas argued that the campaign was aimed at highlighting an issue by satirising it. Others failed to get the joke, with some even interpreting it as advocating segregation between the Estonian-speaking majority and Russian-speaking minority. Estonia 200 candidate Margus Tsahkna reportedly took a swipe at Mr Ossinovski's comments. Writing on his social media page, Mr Tsahkna stated that ''I was just in the smoking corner and didn't see Jevgeni. He has probably already started scrapping with the electoral threshold''. Mr Tsahkna was referring to the supposed genesis of the Reform Party leaving office in November 2016 being chats between himself and Mr Ossinovski, in the smoking corner of the social ministry building in Tallinn. Mr Ossinovski was Minister for Health and Labour at the time, Mr Tsahkna was leader of Isamaa/Pro Patria, or IRL as it was then called. The same month, SDE and IRL made a deal with Centre which brought the latter into office at the expense of Reform, following a vote of no-confidence in then-prime minister Taavi Rõivas (Reform). Mr Tsahkna, a former defence minister, stepped down as Pro Patria leader in May 2017, leaving the party altogether the following month. He joined Estonia 200 in November 2018, and is running for the party in Tartu city in the March elections.